However, the South Australian researchers warn that the reduction is likely to be short lived with dementia rates expected to rise again as the population ages. The study of 348,311 older people receiving home care services found the prevalence of dementia fell from 26 per cent in 2005 to 21 per cent in 2014. For 188,846 older people starting long-term care the dementia rate fell from 50 per cent in 2008 to 47 per cent in 2014. The research, the first in Australia to investigate dementia prevalence, was published today in the Journals of Gerontology: Series A. The project's lead author was Dr. Stephanie Harrison, a Research Fellow from the South Australian Health and Medical Research Institute (SAHMRI). She said the positive findings could be the result of national public health measures to improve overall health of the population. "Research consistently shows that there are measures which can be taken to reduce risk of dementia," Dr. Harrison said. "By improving our physical health, we might also be improving our cognitive health. "Initiatives to improve factors such as smoking rates might be helping but we also have to consider that some risk factors for dementia, such as mid-life obesity rates, are increasing in Australia. "It's likely there are a combination of factors impacting dementia prevalence so there is probably still room for improvement." While there has been a decrease in recent years, dementia rates and the number of people accessing aged care in the coming years is expected to increase as the population ages. There are more than 436,000 Australians living with dementia. Those figures are predicted to rise above 589,000 people by 2028 and above 1 million people by 2058. "The findings are consistent with other studies reporting a decline in the prevalence of dementia in countries such as the US and the UK," Dr. Harrison said. "But there could be a need to reassess current estimates as we should consider that the prevalence of dementia in Australia might be changing." 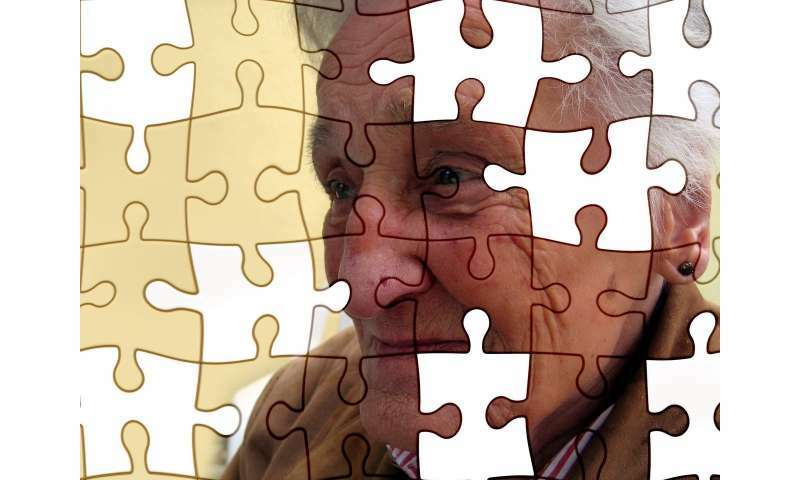 Alzheimer's disease is the most common form of dementia, accounting for around two-thirds of cases. It causes a gradual decline in cognitive abilities, often beginning with memory loss. South Australia, which has the oldest population of any mainland Australian state, has been positioning itself as a global leader in the emerging industry of 'ageing well' for several years. The Global Centre for Modern Ageing in Adelaide was established last year to enable people, businesses, researchers and governments to work together to seize the opportunities presented by modern ageing. The centre includes a living laboratory called LifeLab, a testing and innovation facility which allows people in their 60s and older to co-design products and services with businesses in an environment as close as possible to real life.